Dahlonega still has “gold in them thar hills” if you know where to look. Being nestled in the North Georgia Mountains makes Dahlonega the perfect place for a quick weekend getaway, but what are some of the best local spots to make sure you don’t miss out on? 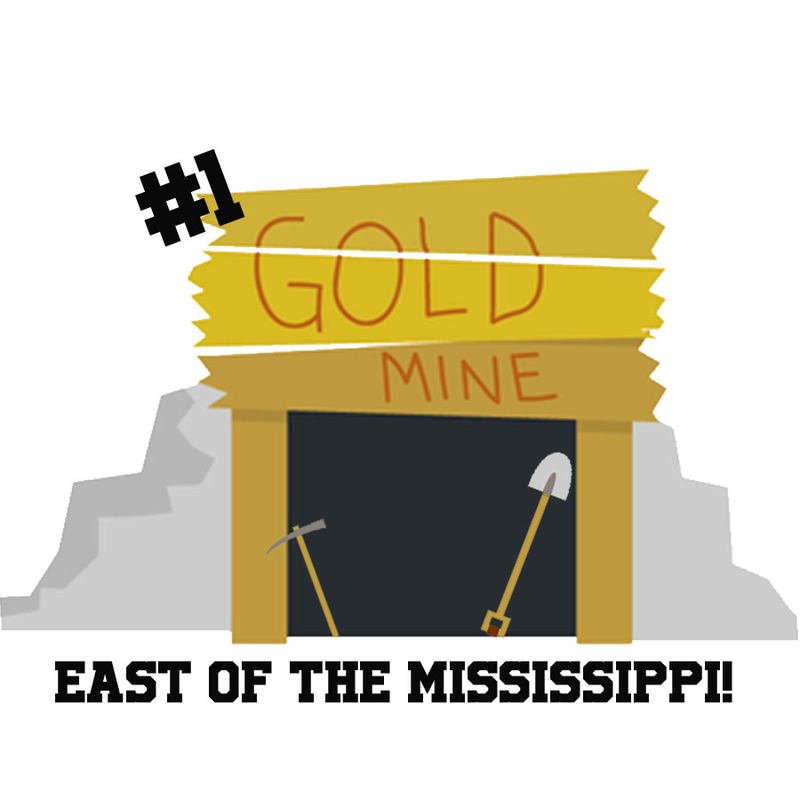 For starters, there’s the Consolidated Gold Mine, voted #1 for things to do in Dahlonega on both Trip Advisor and Yelp! 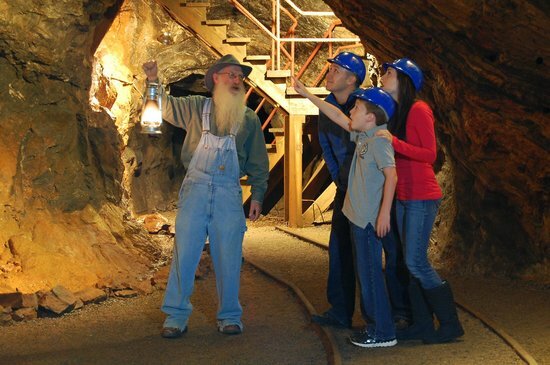 What better way to get in touch with the rich traditions of Dahlonega’s mining history than with a visit to one of the legendary gold mines itself! At Consolidated Gold Mine you can take a tour of the gold mine, try your hand at panning for gold or gemstone mining. Also be sure to check out the Gemstone Studio where you can watch as Gemological Institute of America (GIA)-trained bench jewelers and lapidarists cut, facet and create beautiful jewelry from your gemstones! 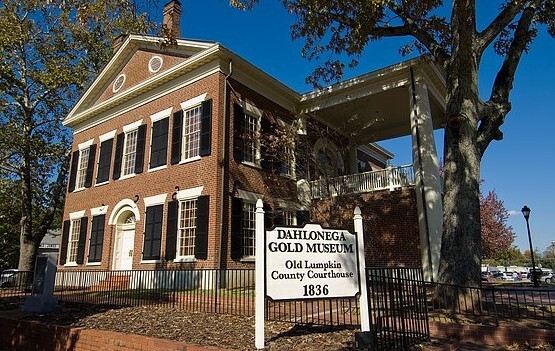 Located right in the middle of the historic Dahlonega Square, the Dahlonega Gold Museum is the perfect stop to make on your tour of Dahlonega, especially once you’ve been to Consolidated Gold Mine. The Dahlonega Gold Museum is the perfect place to visit if you’re interested in the history of the first U.S. Gold Rush. Check it out for yourself and see why it’s one of the most visited historical sites in the state of Georgia! The Smith House is the epitome of everything that is great about Dahlonega. Not only does The Smith House offer great family-style southern cooking, but it is also one of the premiere lodging spots in town (walking distance from the square), with the perfect location for front-porch sitting to enjoying the sights and sounds of Dahlonega. 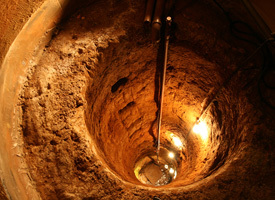 In 2006, Freddy Welch rediscovered an old mine shaft while doing some renovations. The mine shaft is now a featured part of The Smith House where tourists can come and see the 20 foot deep shaft for themselves. Home to gold medal winning wines, the tradition of Dahlonega’s famous gold continues at Wolf Mountain. This winery is the closest to the Dahlonega square and is the perfect place to sit back with some of the finest wine Dahlonega has to offer and enjoy some amazing views of the North Georgia Mountains. You can come for a wine tasting or schedule a guided tour where you can see firsthand the “vine to bottle” process. The North Georgia Mountains are home to some great rivers, and those rivers are perfect for a lazy afternoon spent moseying along in a tube, canoe or kayak. Appalachian Outfitters is the perfect place for tube, canoe and kayak rental along the Chesttaee and Etowah Rivers. With prices starting at just $6/tube, Appalachian Outfitters is a great choice for family fun in the Dahlonega area, especially when that Georgia heat starts getting to you! With so many great options to choose from in a town so full of life and history, it’s easy to see why so many people flock to Dahlonega for summer fun. There are always things to do in Dahlonega!